I'm just hopping on the blog today to share some recent projects with you. Nothing makes me happier than a table full of cute, colorful paper and embellishments! I just get lost in all the fun! 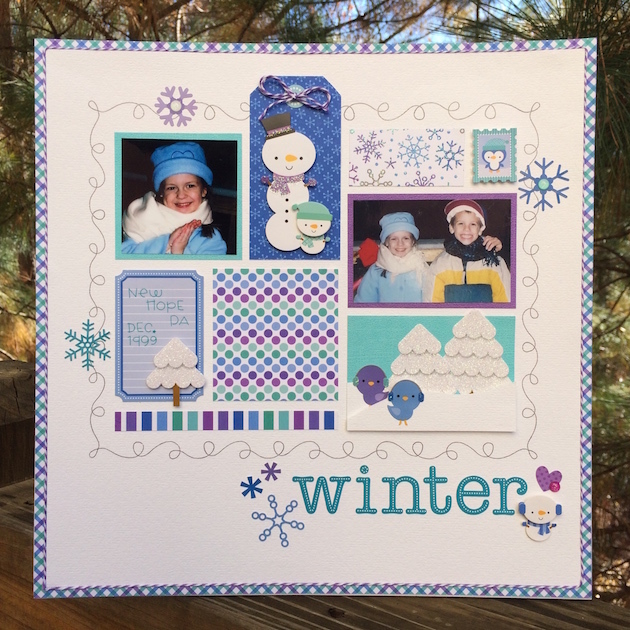 First, is a winter page layout I created with some cute pictures of my son and niece. 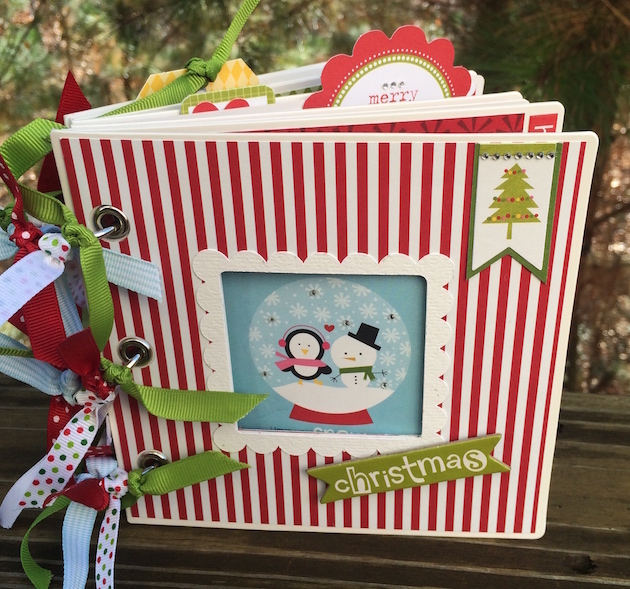 Doodlebug's Frosty Friends collection was perfect for this layout. I only had these two small photos so I created a collage using paper and embellies, and made a cute swirly sketch line with my CAMEO machine. A few little enamel dots finished the page. How cute are those snowmen?? ... and those kids :) ! 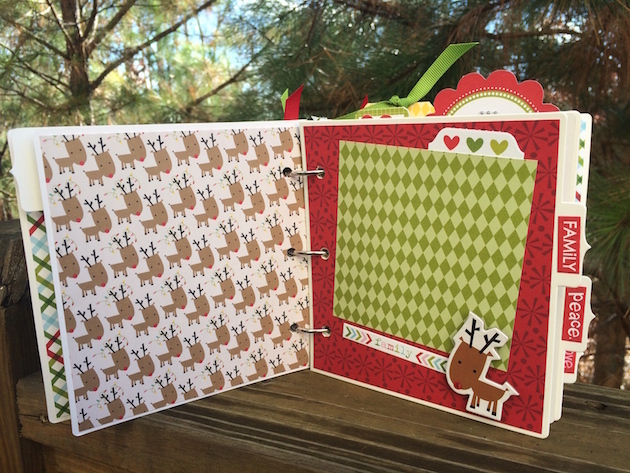 For this little mini album, I used a Doodlebug chipboard album and Bella Blvd's cute Christmas Cheer paper. I just love the candy cane stripe on the cover, and the snow globe peeking through the window. Thanks for stopping by my blog today and letting me share my fun projects with you! As always, your designs are AMAZING! Thank you for sharing! 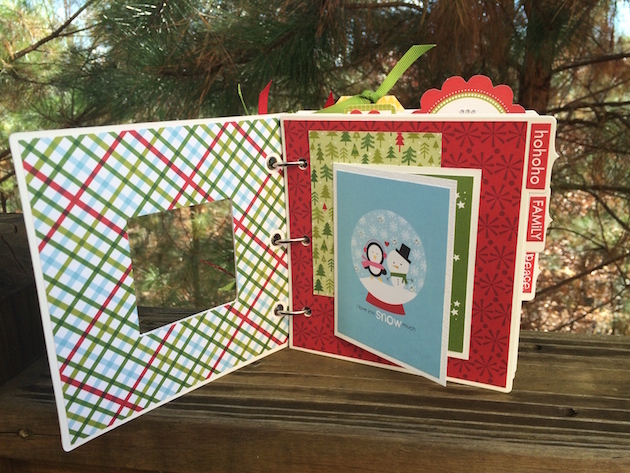 New Mini Album Scrapbook Kits This Week!